We love Schleich in our house. Their brand of painted scale model of animals are amongst the most played with toys in our house and this has been the case since we discovered them with Bud a couple of years ago. 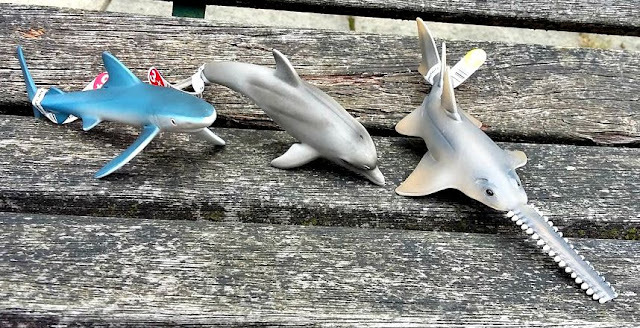 Last year's main craze was for dinosaurs and the children amassed quite a collection over the course of birthdays and Christmas, and the occasional treat, but this year we've been very keen on sea creatures. 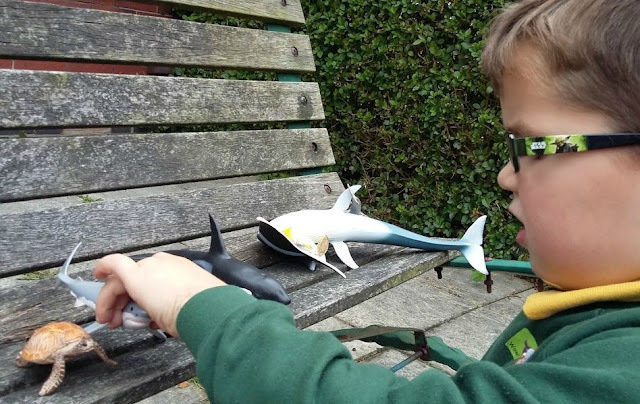 The opportunity to review Schleich's sea creatures came at a perfect time for Bud and LM and they were absolutely delighted with their parcel. 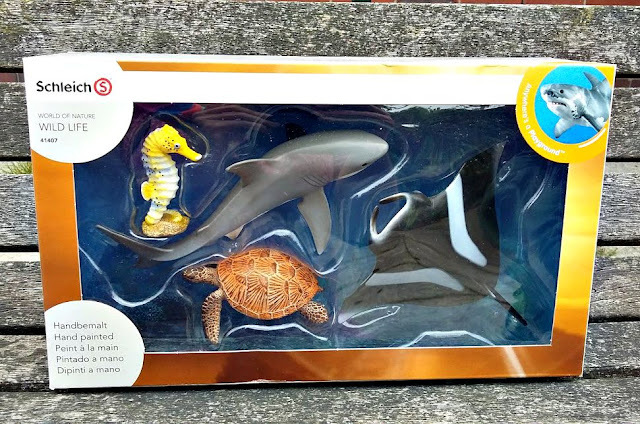 The latter five are the individual models which you find in the Schleich units in their stockists, whereas the Ocean Set is a boxed presentation set which includes four creatures - a shark, seahorse, Manta Ray and sea turtle, The models included in the sets often aren't available individually so they represent a good value way of either completing your collection or buying Schleich for the first time. They are also much easier to wrap - if you've ever sat trying to wrap Schleich dinosaurs on Christmas Eve you'll probably appreciate that! The creatures contained in this set are smaller than those available individually but, at just £14:99 for all four represent excellent value for money. The five individual models are amazingly detailed. Bud loved talking about the Blue Whale and Orca (he won't call them Killer Whale). These are the largest two models and are beautifully detailed. Perfect for children to really explore the creatures and familiarise themselves with their appearance. Bud and LM asked lots of questions about things like the whale's blowhole and the fins on the fish. The Sawfish was very interesting to them as they had never seen one before so we had to go and look them up on the internet. We adore Schleich models. They are more expensive than other model animals but I think they are well worth the extra cost. They are such excellent quality and so realistic. 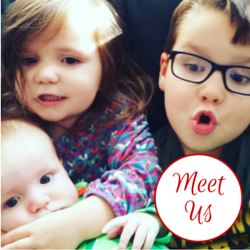 Once my children eventually lose interest in them I'll be putting them away in the attic for any future grandchildren to enjoy. They are a truly timeless toy. To find out more about the range check out the Schleich website. You can find them in all usual stockists including Amazon. We received the toys for review purposes.